Vegetarian eating is becoming increasingly popular, and many new vegetarians would love to learn more about the characteristics of legumes. Legumes come from plants that have seed pods that split on two sides when they become ripe. The legume family includes beans, lentils, and peanuts. Legumes, including beans and lentils, are a potential meat substitute for vegetarians because of their high protein content. However, the characteristics of legumes include many other highlights, including a high fiber and nutrient content, a long storage life, and versatility in the kitchen. Is a Peanut a Legume? According to the American Dietetic Association, legumes are among the world's best sources of fiber. It is recommended most adults consume 25 to 35 grams of fiber per day. Adding legumes to your diet can help you to reach that number. In addition to their impressive fiber content, members of the legume family provide excellent sources of protein, complex carbohydrates, B vitamins, and iron as well as other important vitamins, minerals, and phytonutrients. Legumes are part of the meat and protein food group but may also count as a vegetable for people who consume meat. One-quarter cup of cooked legumes counts as a one-ounce equivalent of meat, while 1/2 cup of cooked legumes counts as a 1/2-cup serving of vegetables. You may worry that eating too many legumes can lead to flatulence or intestinal discomfort. The compounds found in legumes that are responsible for causing flatulence in some people are called oligosaccharides. Oligosaccharides are comprised of sugar molecules bound together in a way that prevents the body from digesting them. Navy and lima beans contain the highest amounts of the compounds, while peanuts have the lowest and, as a result, produce the least amount of gas.The oligosaccharide content of legumes can be reduced by proper cooking and sprouting. Individuals who are particularly sensitive to the compounds may find relief from a commercial enzyme supplement, such as Beano. Most legumes can be found precooked in cans, which offers a quick and healthy option for every meal. However, cooking your own legumes offers economical benefits. For about the same price as one can of beans, you can prepare three times the amount of food at home. All dried legumes except for lentils are best prepared when they are soaked in water overnight before being cooked. Storing them in the refrigerator during the soaking process helps to prevent fermentation. Prior to cooking, skim off any skins which are floating on the surface, drain the soaking liquid, and rinse the legumes with clean water. Add presoaked legumes to a large pot, and add enough water or stock to cover them by one to two inches. Bring the legumes to a gentle boil, and then reduce the heat to simmer. Avoid stirring the beans often, as they can easily grow mushy or break. Do not add any acidic ingredients, including vinegar, lemon juice, or tomatoes until the end of the cooking time. Otherwise, they will increase the total cooking time and toughen the legumes. Specific cooking times vary depending on the type of legumes you're preparing. A chart that includes cooking times for different varieties is helpful. Try to use the legume cooking liquid in recipes whenever possible, because many of the nutrients will end up in the water or stock during the cooking process. Dried or canned beans and lentils can be stored in glass or plastic containers in a cupboard for a year or more. Once cooked, legumes should be stored in the refrigerator, where they will keep for up to a week, or in the freezer, where they will keep for several months. When refrigerating or freezing cooked legumes, cover them with cooking liquid, which will prevent the beans or lentils from drying out. Adding a variety of legumes to your diet can be rewarding both economically and health-wise. 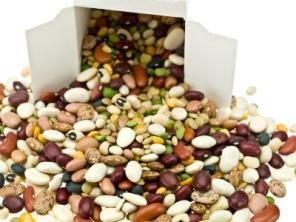 The many characteristics of legumes make them a wonderful addition to any kitchen. Not only do they offer many essential nutrients, but they are also quite delicious!